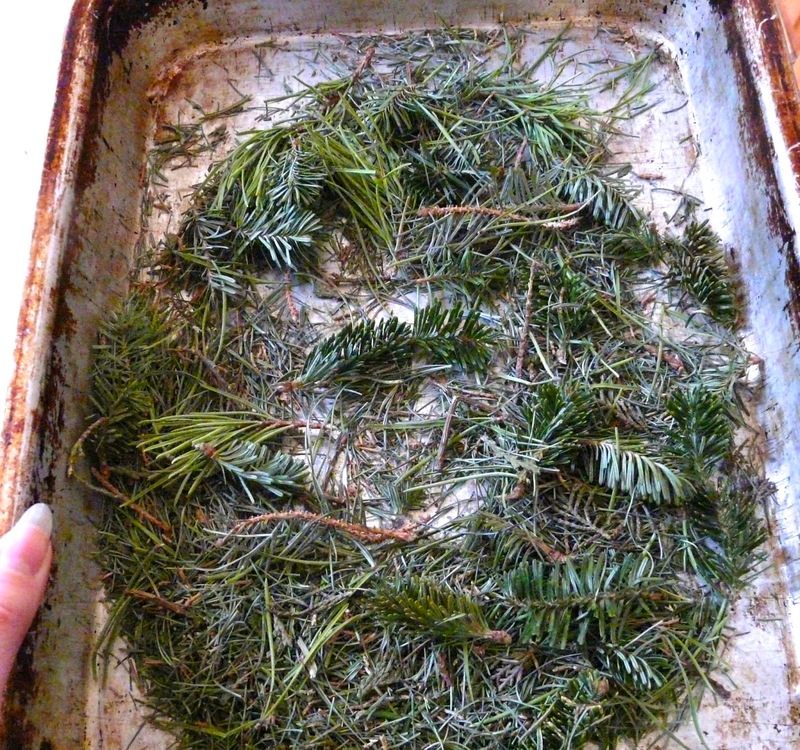 I collected needles and branch tips from a variety of evergreens - Pine, Spruce, Fir, and even some Cedar and Juniper. 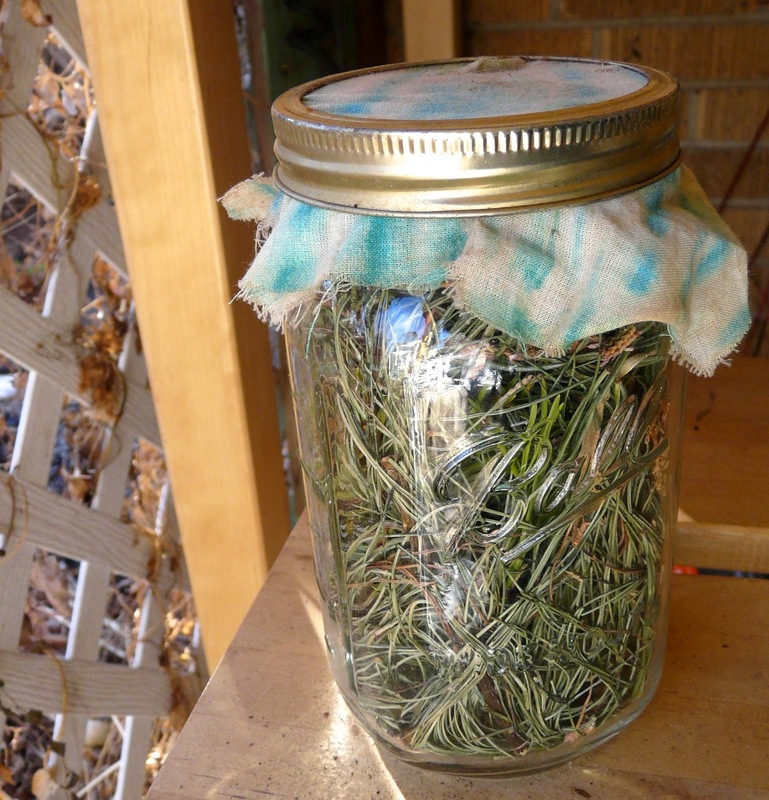 I left them in this jar, breathable fabric on top, on a warm porch to dry for a few days. We've been alternating between blowing snowstorms and 70 F and sunny, just a normal Colorado January. 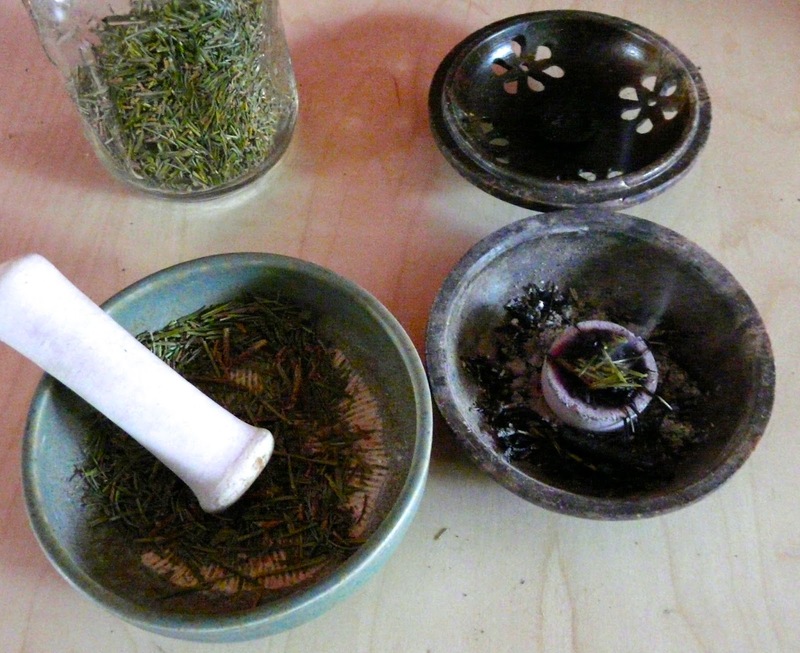 Usually I do all my incense making in a small mortar bowl, but this was quite the pile. I used the Cuisinart to quicken the work. Pulsing it gently for a while. After a short while drying further the needles all fell apart perfectly! I pulsed a while, not trying to pulverize the bits, just break them small enough to be heaped on a coal. It fits a much smaller jar now! I can use it a bit at a time, grinding fresh what I'm going to burn. 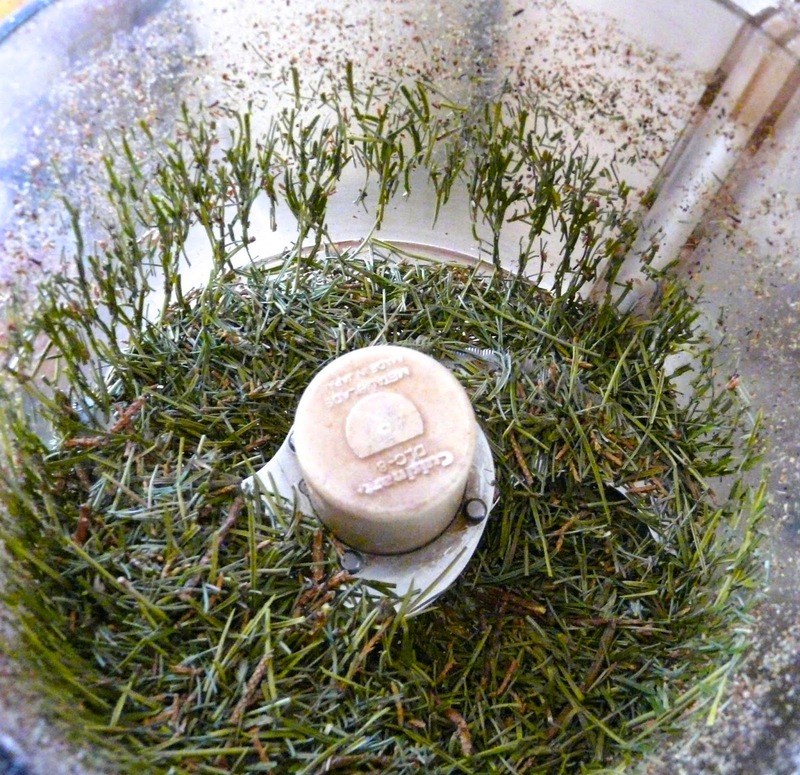 Yummmm, winter smell... For Yule I made a version with cinnamon chips, clove oil, and frankincense. For Imbolc I added lemon peel and flowers. Note - don't put resins in your electric grinders, they will make a sticky mess! 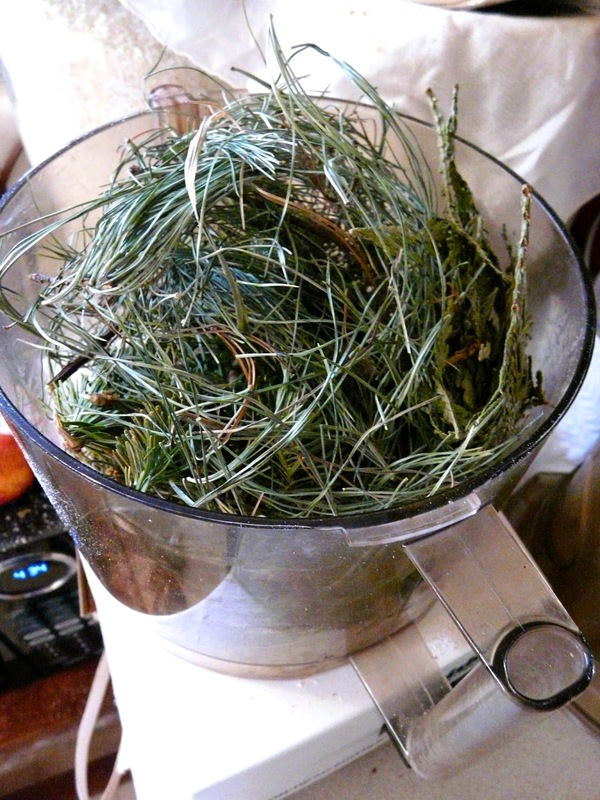 Don't bother with cheap imitations, if you want a "Forest Fresh" scent, use the real thing!